ThunderGBM is dedicated to helping users apply GBDTs and Random Forests to solve problems efficiently and easily using GPUs. Key features of ThunderGBM are as follows. Support regression, classification and ranking. Use same command line options as XGBoost, and support Python (scikit-learn) interface. Supported Operating Systems: Linux and Windows. 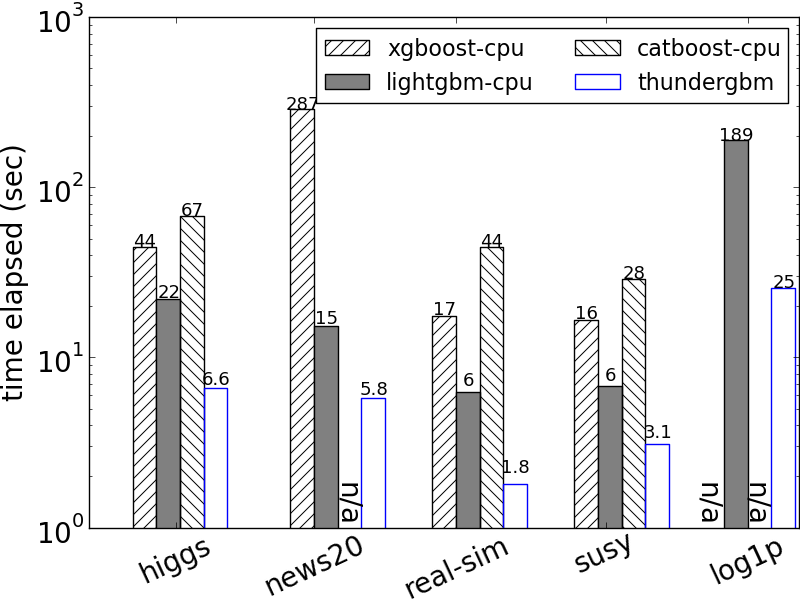 ThunderGBM is often 10 times faster than XGBoost, LightGBM and CatBoost. It has excellent performance on handling high dimensional and sparse problems. © Copyright 2019, ThunderGBM Developers Revision fc1e78a6.